Disney CEO Bob Iger has confirmed that the Disney streaming service will not have access to any of the previously released Star Wars movies up to Solo: A Star Wars Story. The confirmation comes after it was revealed that Disney was in talks with Turner Broadcasting to get the rights back in order to have them for their streaming service, which is supposed to debut next year. Turner Broadcasting currently has the rights to air all of the Star Wars movies all the way up to Solo through 2024. Bob Iger says that all talks in regard to bringing the Star Wars franchise over to the Disney streaming platform at the end of next year are over. Iger states that the marketing for the streaming service will make sure that there is no confusion as to what will be available once the service launches. Additionally, Iger says that any Star Wars films released after 2019, will be available after their theatrical runs. He had this to say about the franchise not being immediately available. "The marketing will make clear that it's not going to be on there. But Star Wars movies that come out in 2019 and later, you'll find them there." Turner Broadcasting secured the rights to air the Star Wars franchise on network television back in 2016 for an estimated $275 million. Disney was recently making inquiries about a possible agreement, but it appears that those talks fizzled out. Turner more than likely wanted a hefty sum, quite possibly more than they originally paid to return the rights earlier. It makes one wonder why Disney made the deal in the first place with a streaming service on the way. 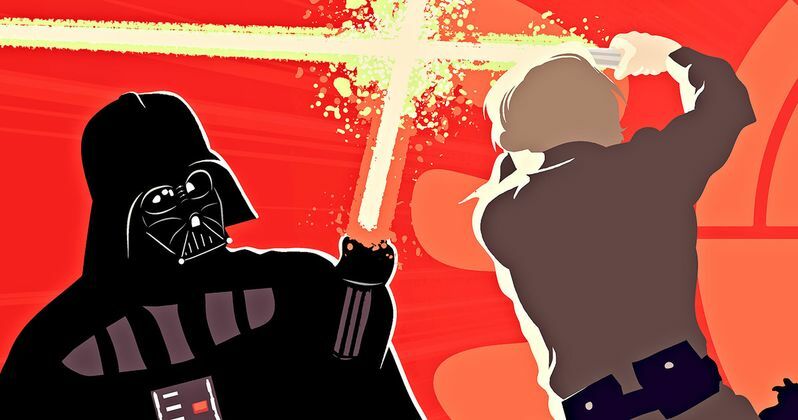 Even though the Disney streaming service won't initially have Star Wars, they will still have a considerable amount of powerful brands to justify launching the service. There are the obvious Disney franchises, which will be enough to get many people to subscribe and then there's Pixar and The Marvel empire as well as the upcoming Fox acquisitions. Plus, there are other Lucasfilm projects to look forward to like the live-action Star Wars series from Jon Favreau, which will be on the streaming service exclusively. Bob Iger had this to say about bringing in fans to the Disney streaming service at launch time. "Our first priority is going to be reaching our core Disney fan. We want to walk before we run when it comes to volume of content... We have to put enough on to make sense from a price-to-value relationship perspective." Disney will eventually get the rights back for the Star Wars movies, and they really won't even need them right away. There's so much Disney material on its way that fans will subscribe to the streaming service for the live-action Dumbo debut as well as Avengers 4 alone. Never mind all of the other classic material that the studio has its hands on. Bob Iger's Star Wars comments were first picked up by Variety.